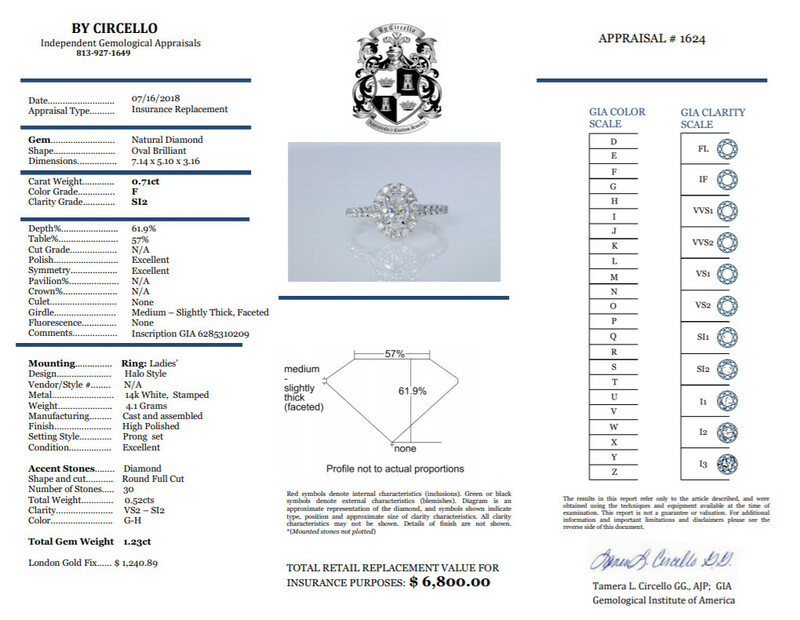 Center diamond is 0.71CT Oval Brilliant diamond GIA certified with a colorless F color and SI2 clarity super clean, even clean under magnification and tons of fire and brilliance with Excellent Symmetry & Polish. 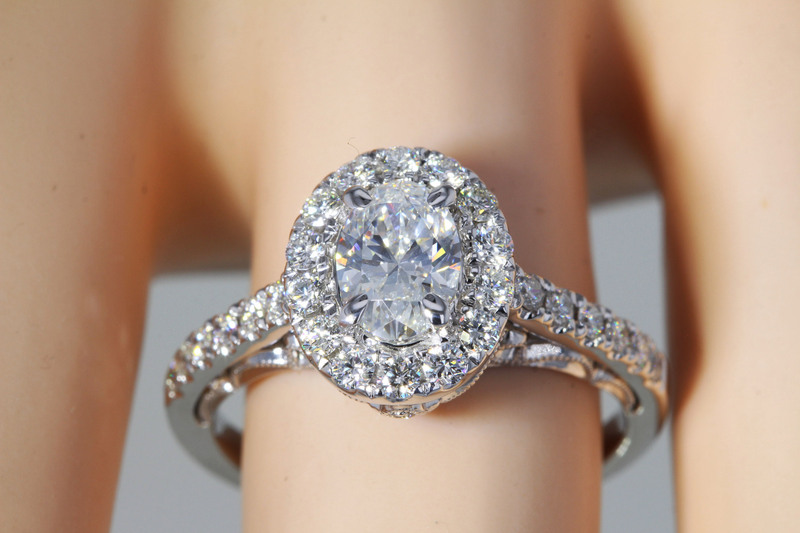 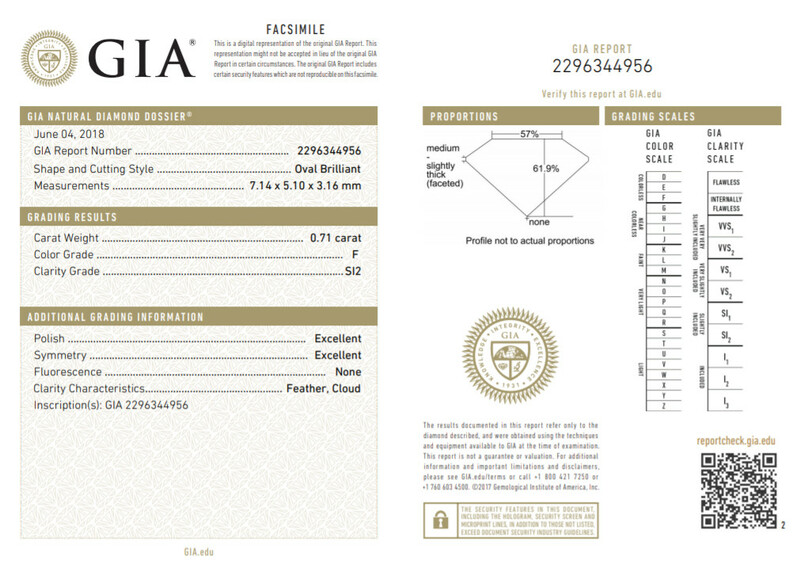 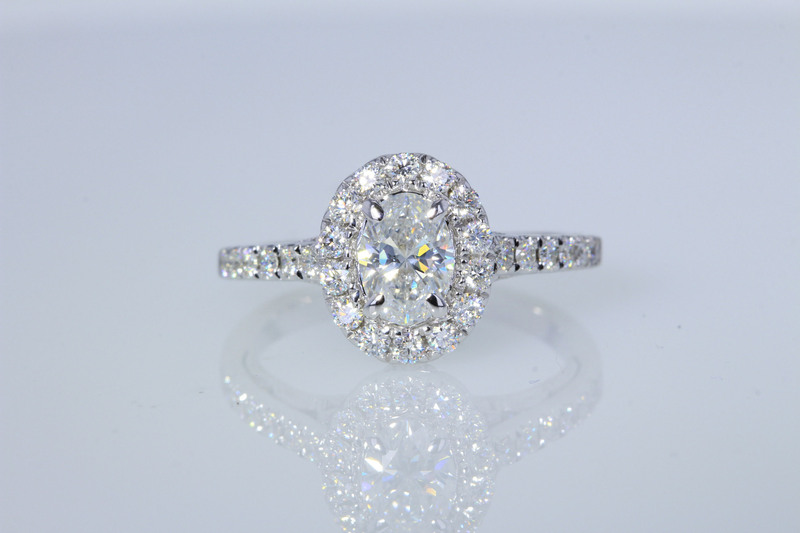 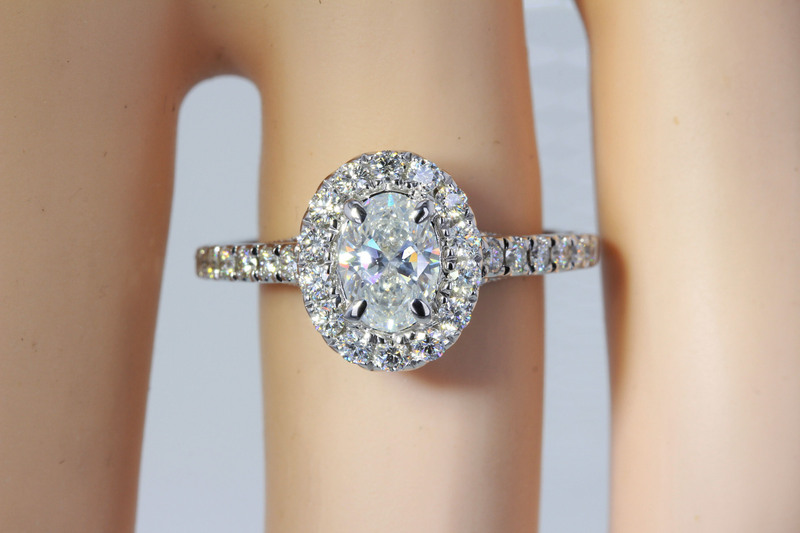 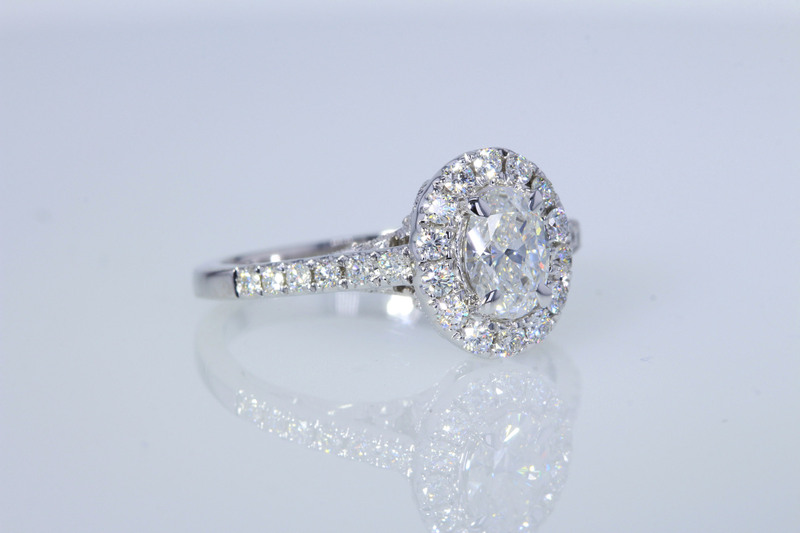 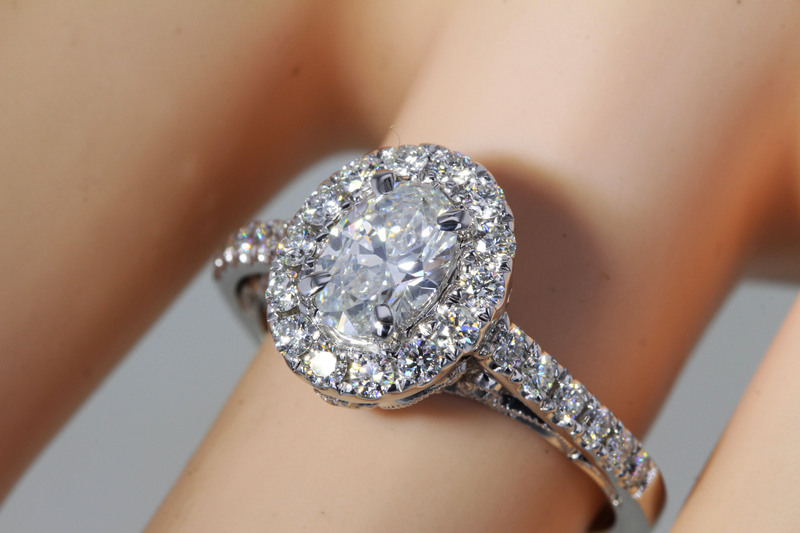 Come with GIA certification and has the certification number inscribed on the diamond. 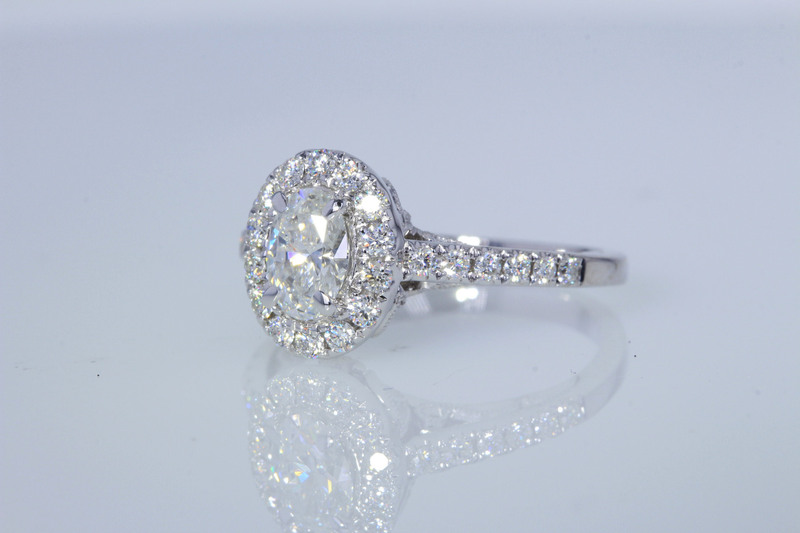 The diamond was just set in this brand new 14kt white gold halo setting with over a half carat of full cut high quality round brilliant diamonds for a total carat weight of 1.23CT.